Hoverboards—the tech fad of 2015—are crashing big time this week with a massive recall by 10 manufacturers. It seems that the “self-balancing scooters” as they’re also known, ain’t so safe. While intuitively, you might think—duh!—the problem is not what you might expect. 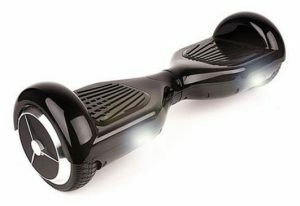 Apparently, there have been at least 99 incidents of the lithium-ion battery packs in self-balancing scooters/hoverboards overheating, sparking, smoking, catching fire and/or exploding including reports of burn injuries and property damage, according to the Consumer Product Safety Commission (CPSC). Now that does sound exciting. Certainly would liven up your walk around the park. Who said exercise is boring? You can imagine it—there you are boogying down the street on one of these things—and suddenly you’re scooter is putting on a pyrotechnics display—complete with smoke and sparks. There’s fire at your feet! Onlookers might even think you’re making some uber hip video and start applauding. If you’re on one of these things in traffic, you could really be in trouble. Not to mention the onlooker distracted driving you’d cause—or worse. Doing a bit of investigating into this toy, it seems that hoverboards are banned from roads and sidewalks in cities around the world. And—airlines and airports. OMG. Don’t even want to imagine that scenario. New York State has made it illegal to ride one on public roads or walkways, as have Australia and the United Kingdom, and many schools (including UCLA), malls and other public places are also jumping on the banning bandwagon. Apparently they do take some getting used to—a rider needs to learn to balance on them using the two pressure-sensitive footpads that control speed and steering. So no drinking and driving with this baby and definitely NOT something you want to take to a party… or have your teenager take to a party. FYI—these things can do up to 10 MPH—3x average walking speed, so it’s best to kill the Pokemon Go while hoverboarding as well. CNET also reports that Hoverboards have minimum and maximum weight limits, which are meant to protect the rider and scooter. “Most boards also won’t operate going up or down steep hills, usually over 30 degrees. There are no height limits associated with the boards, though keep in mind that most lift you about four inches above the ground. If you’re particularly tall, you’ll run a greater risk of hitting your head while riding.” Sounds great. So enter the safety gear—yes—you knew there had to be a merchandising opportunity lurking here somewhere…helmets, knee pads, elbow pads and wrist guards—but nothing that would presumably protect you in a meaningful way from an explosion or fire. Maybe a hazmat suit? Maaaybe not. It does, however, paint a pretty laughable picture—suited up like Michelin man, wobbling uncontrollably as you lurch down the street with sparks and smoke emanating from your feet. It’s a Snapchat moment waiting to happen. The next YouTube sensation, if only for a half day. Yup—a great recreational device—for the onlooker not the rider. (I’m reminded of the Darwin Awards). All in all, the whole thing sounds way too stressful. One would need anti-anxiety drugs just to get on the thing. Never mind taking it out—actually riding it in public. Anywhere, day or night—preferably never. You can check out the full hoverboard recall here. Time for a walk. On the ground—in runners. Oh yeah baby. There’s a lot to be said for doin’ it old school. This was posted on Wednesday, July 13th, 2016 at 12:46 pm and is filed under Defective Products . Feel free to respond, or trackback. Read our comments policy.